As a university student, I can't think of anything more disheartening than when you put everything into an essay to find out on results day that a big fat F has been slapped on your work. This has happened to me twice in my whole (almost) 2 years of university. 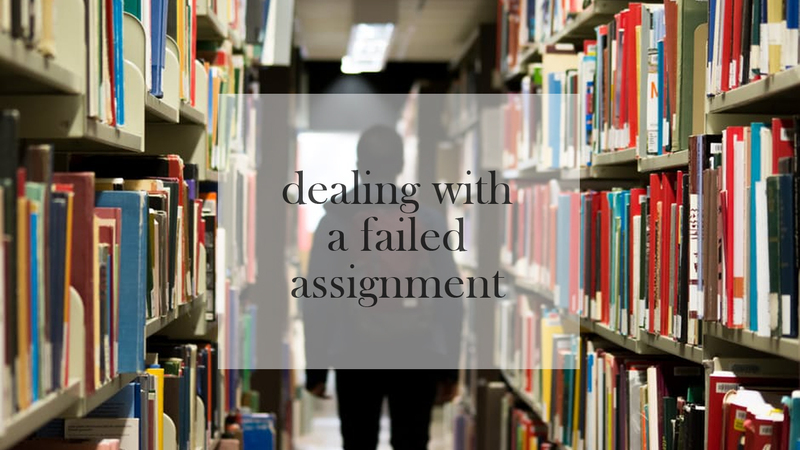 So for this post, it'll be on how to deal with failing an assignment. The muse for this post came from my results for an essay which I received today, so prepare for story time. In all honesty, there was so much free reign in this assignment that there could be so many ways to go wrong (this is no way me trying to say I was marked unfairly). We had to pick our own topic and create our own essay title. Also if this wasn't difficult enough, it was also a 4000 word essay. Some of you in university may have this word limit for all your assignments whilst others (like myself) may get 2000, or maybe even a bit less or a bit more. For me, a 2000 word assignment is do-able in terms of being able to get my points across clearly, as well as not struggling to fill up a word count. Without further ado, here's my tips on dealing with a failed assignment! Sounds like a simple point, right? You'd actually be surprised by how many people don't actually read their feedback and sometimes it's due to the fact they don't like reading that they've failed, or not done as well as they could've. Whoever has marked your assignment will have taken their time to go through what's been written, as well as giving really decent and helpful feedback. I will easily put my hands up and admit that sometimes I don't read my feedback, unless it's an assignment that I've not done very well at all. It's helpful to read it over a few times and get in contact with the marker if you're a bit confused on what they have said in your assignment feedback. This is also something which seems simple, but your module leader is there for a reason. They're there to provide you with the help you'll need in order to resit the assignment, or to give you pointers before you start the initial one. If a few of you haven't passed your assignments, I'm sure if you'd ask, your module leader could allocate a time for you all to meet with them to discuss where things went wrong and how to do the assignment to pass. They're not going to laugh at you for failing, regardless if you're a first year, or a post graduate! Reading around the topic will help you so much. If you don't understand something, just keep on reading until you do, or ask someone who is knowledgeable in the topic about it. You'll eventually understand what's going on. Reading is going to help you improve, and you might actually pick up on something which you missed on the first time round. When it comes to reading, make sure you vary your reading a bit, by using books, web based references, journal articles, papers, primary research/research articles, news articles... There's a lot of different ways you can read in order to retain information which will be useful to you. Try not to rely too much on one area of information, like news articles for example, varying your resources will show the marker that you've done wider reading, as opposed to Googling for a few moments! I never really did this, because I preferred writing assignments off the top of my head, but keeping an initial structure. I don't really have a reason for doing this, I just never really do a plan unless I'm totally stuck for an assignment. In all honesty, creating a plan actually made me feel more at ease with my work, and I also turned it into a tick-sheet, so I could cross off what I had done, as well as being able to see what I had left to write about. The plan let me stay on track, but also add in little bits if I was told that they were relevant, so I was pretty happy that I actually have started to make plans for my assignments. Sending your plan to your lecturer is also a good idea, as they can look over it and tell you if you're missing anything, or let you know if something isn't particularly relevant. 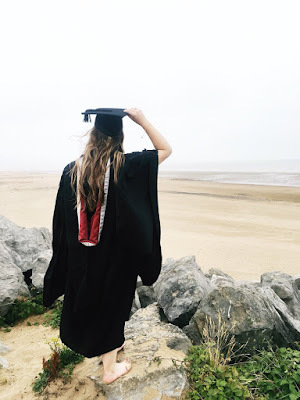 They will happily look over a plan, although I'd be ideal to send them a plan in advance (not during the last week, as lecturers I've had have told us to really not do that), so that they have to talk to you about it. Please remember that failing an assignment isn't the be all and end all! What are your tips for dealing with an assignment that you've failed? Do you do any of the tips I've listed above? Let me know in the comments! Sometimes people forget the basics. Also the photo was taken during a break in my lecture, so please don't bother commenting false things because you'll just get shown up. Thanks for the waste of time, sweets! I, personally, found this post really helpful. I'm only in high school so my situation is obviously slightly different to yours, but I often struggle with accepting the grades I receive on exams and essays. Even if I haven't necessarily done bad, I'm hardly ever happy with the result. Like I said, it's not the same as your situation, but this advice really helped me - so thank you for this post!! I'm always so self critical, like no matter what grade I get, I always want to do better. Sometimes I do forget the basics, like asking tutors for help because I always think they're really busy (which they are, but they'll always help!). It's o bother at all! Thanks so much for the comment, sweets! That's awesome, thanks so much for sending it over! Hopefully it's of help! Positive site, where did u come up the information on this have read a few of the on your website now, and I really like your style.